In celebration of the Cleveland Cavaliers 2016 NBA championship victory, the Nike Basketball Four Wins Pack is set to hit stores this weekend. 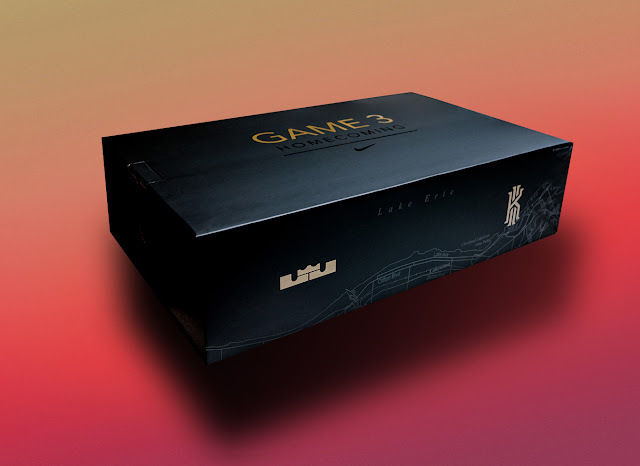 Known as the "Game 3 Homecoming" edition, the Nike Basketball Four Wins Pack celebrates LeBron James and Kyrie Irving leading the Cleveland Cavaliers to their first NBA championship. The pack features the Nike Zoom LeBron Soldier 10 alongside a Nike Kyrie 2 in colorways that were worn by James and Irving during Game 3 of the 2016 NBA Finals. A limited release, look out for them at select Nike accounts worldwide on Saturday, October 22nd, 2016. Retail is set at, $500. Enjoy the official images below of the "Game 3 Homecoming" Nike Basketball Four Wins Pack featuring the Nike Zoom LeBron Soldier 10 and the Nike Kyrie 2. If you're interested in picking these up when they release, check in with your local spots to see if they will be receiving them. Those of you looking for a set now can, grab them from eBay here.